It’s spring and the garden or farmer’s market, as the case may be, is brimming with fresh, tender, delectable veggies. One of the most versatile is the spring onion. This beauty will bring tears to your eyes (get it?). So what is a spring onion? Keep reading to learn about spring onion cultivation and uses for spring onions. What is a Spring Onion? There seems to be some confusion surrounding exactly what a spring onion refers to. This could be that it is referred to as a green onion in Canada and the United Kingdom. And, then the green onion is often called a scallion, so that identification becomes somewhat perplexing. Simply put, a green onion in the United States is also a scallion. Same animal…ahem, allium. What is the difference between a green onion (scallion) and a spring onion then? A green onion has slender green fronds growing above ground with a small white, underground white stem. Green onions never grow a bulb but stay forever a slight white stem end. Spring onions (Allium fistlosum) look much akin to scallions, but they have a small onion bulb at the base. They are a product of many different onion varietals and can be red or white. The bulb size varies depending upon when it is picked and what type of onion it is, but can be as small as a scallion or as wide across as a softball. It tastes like a muted version of the mature onion varietals, only with a much mellowed, sweeter flavor. Spring onions can be used much like mature onions or scallions. They will have a bolder flavor than scallions, however, so if you don’t want such an “oniony” burst, use the scallion. Spring onions are ideal on the grill, brushed lightly with olive oil (including the greens!) and grilled to a charred exterior and a sweet, succulent inside. They also make a terrific sweet onion pickle “relish” that is sublime over hot dogs and brats. They are delicious sliced thin and sautéed or tossed into the wok. Spring onion cultivation should be done in the, you guessed it, spring, from March to July. Harvest will be in March to May. Growing spring onions is easy and because they take up so little space and have a shallow root system, the plants can be tucked in here and there in the garden or into containers. You can buy seeds for sowing or if you had a previous crop (or a friend did), allow the seed heads to mature and then lop them off. Put the seed head in a paper bag and allow to dry for two weeks. Voila, you now have seeds. Store them in a cool, dry area. Sow the seeds indoors or out in a prepared bed. Rake the bed clear of debris and stones and amend the soil with some organic soil conditioner. Spring onions like a soil pH of 6.0-7.0 in well-draining, humus rich soil and full sun exposure. Sow seed ¼ inch deep in rows 6 inches apart. Don’t worry too much about how close together the seeds are otherwise. You can always thin them and then don’t throw the thinnings away! Toss them into a salad or into a stir fry at the last moment of cooking. Care of spring onions thereafter is minimal. Be sure to provide them with one inch of water per week depending upon rainfall. Feed them with a liquid fertilizer 2-3 times during the growing season. Keep the area around the onions weed free. 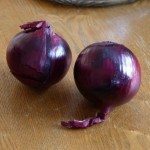 You can keep growing spring onions year round either outside or in a greenhouse through succession planting every 3-4 weeks for a steady supply of this luscious allium. Your spring onions will be mature and ready to eat in between 8-12 weeks.